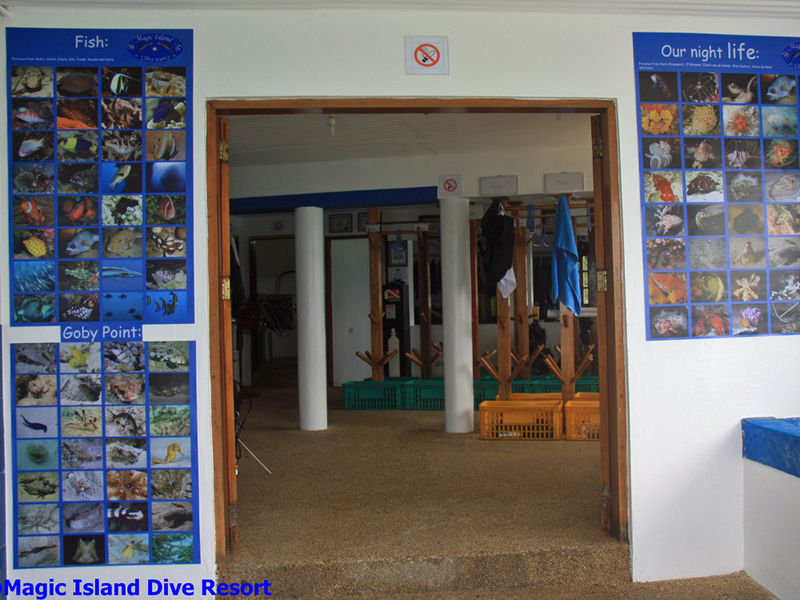 On this page you will find a selection of photos of our Dive Centre. 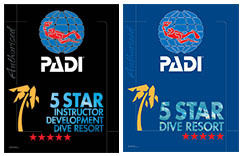 More than the perfect weather, accommodation, food and a friendly locale, for a diver the fun actually starts underwater. 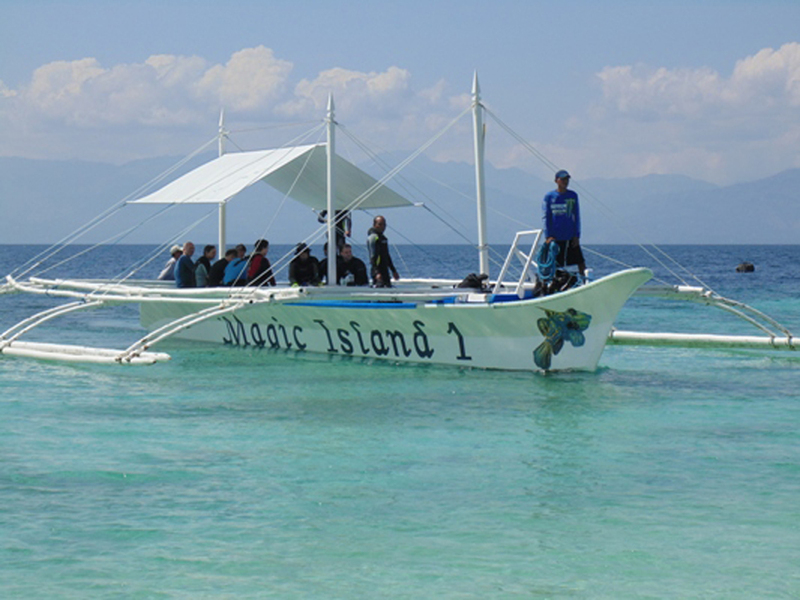 Moalboal is world-renowned for its spectacular diving sites and two of these sites are the internationally renowned Pescador Island and the equally famous Panagsama Beach for its sardine-run. 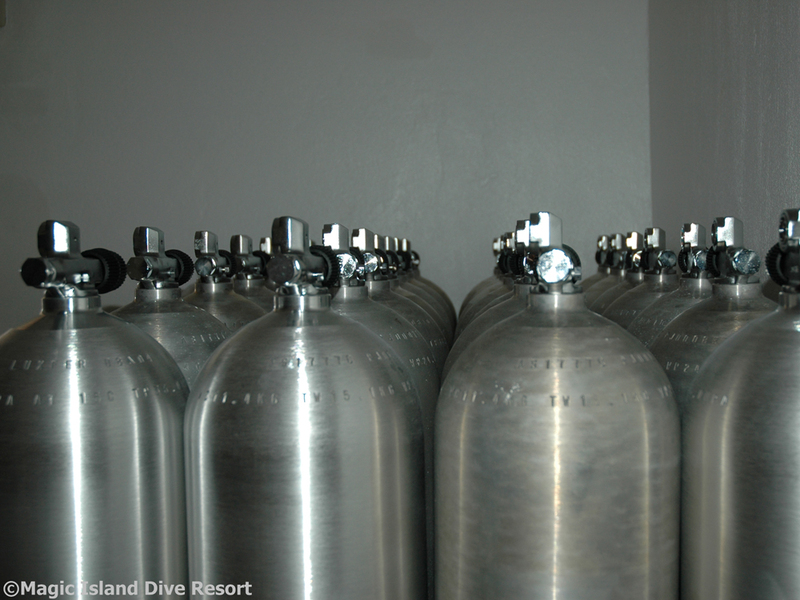 That congregation of millions of sardines, forming a hurricane-like formation looks otherworldly on photos and videos. 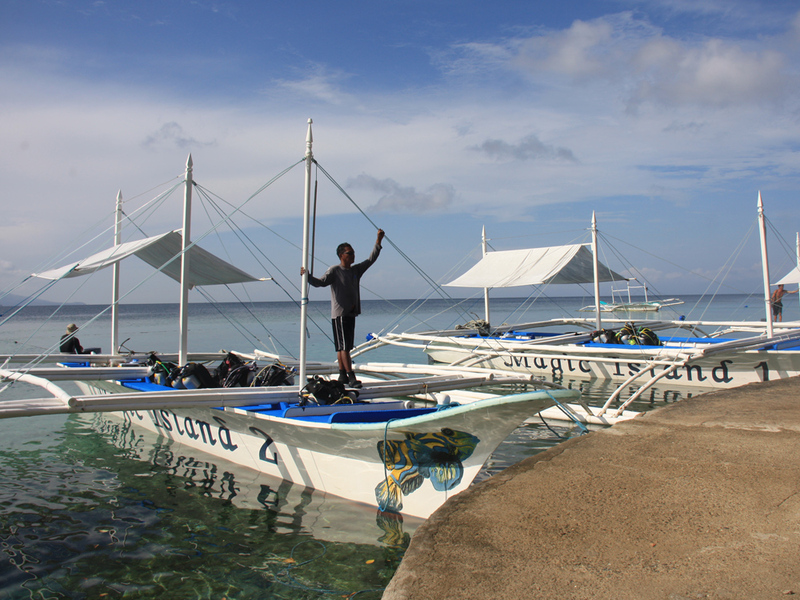 That being said; Moalboal is not all about the sardines. 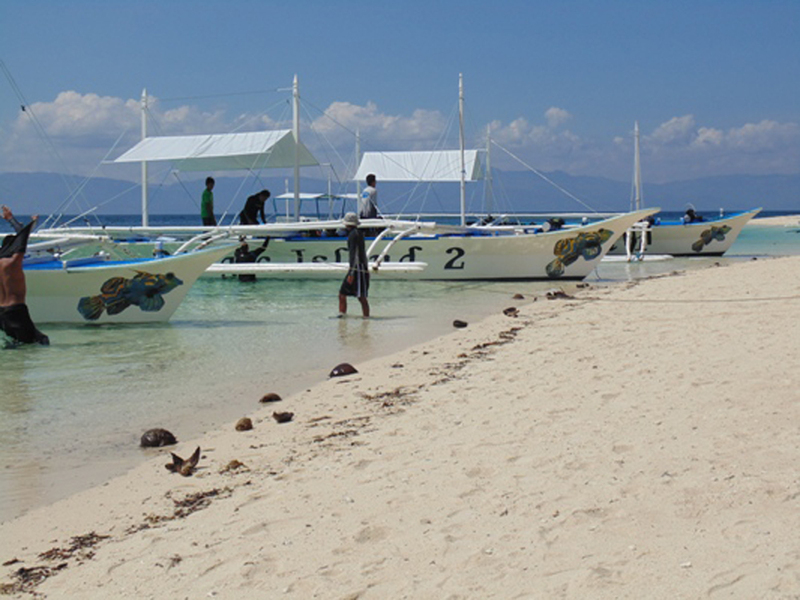 The reefs themselves are stunning, overflowing with an incredible amount of soft corals bursting with colors and giant fan corals as far as the eye can see. 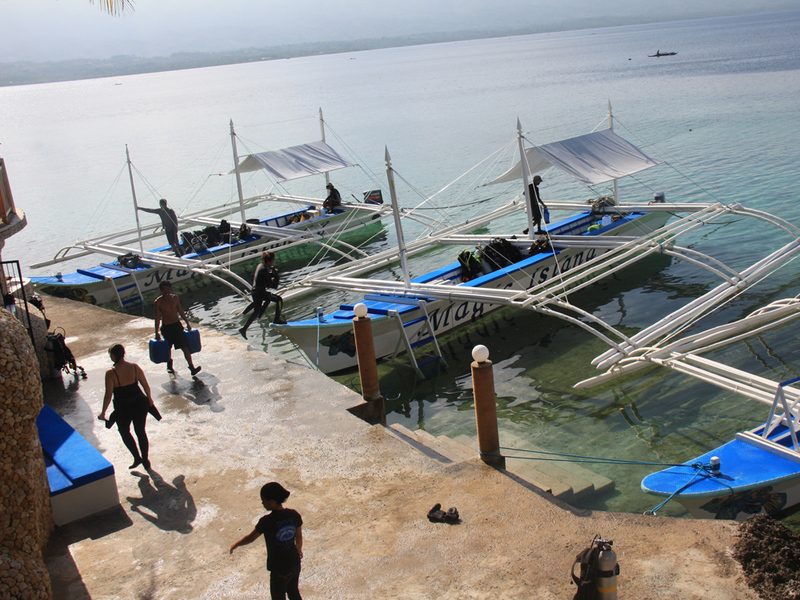 Moalboal is also about its huge underwater biodiversity. 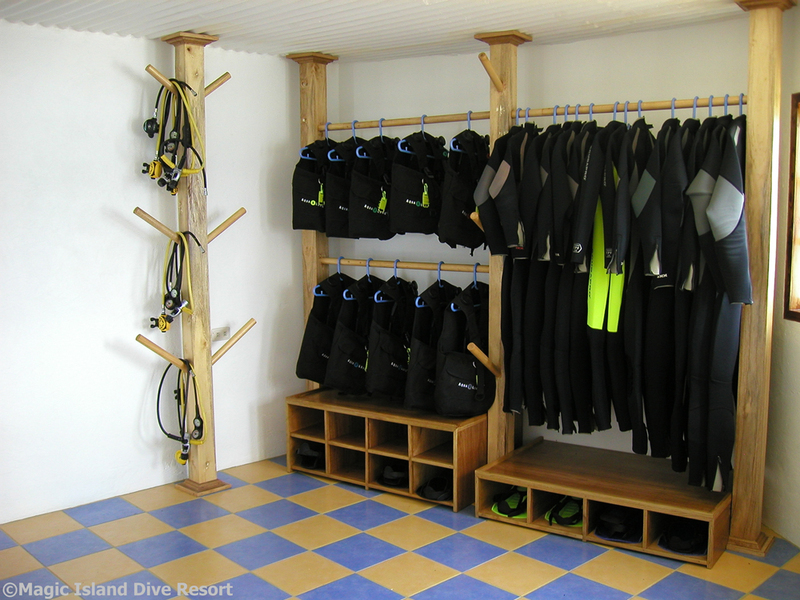 Big colorful walls covered with corals and sea fans where many schools of fishes are swimming around. 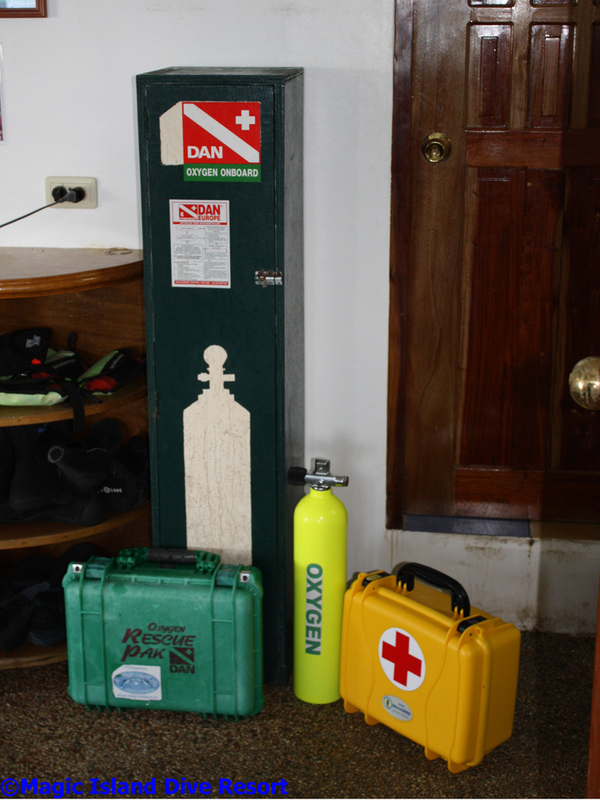 Turtles are a constant sight and Thresher sharks appear from time to time. 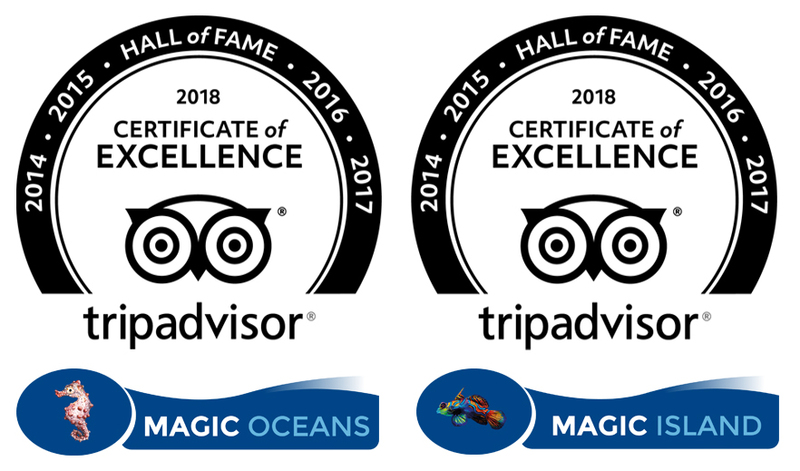 Varied underwater critters and the most colorful reef fishes are also shoaling around the corals, as well as barracudas, jacks, snappers, groupers, rays, and many more. 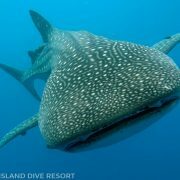 The whalesharks might also decide to join the party as well as dolphins. 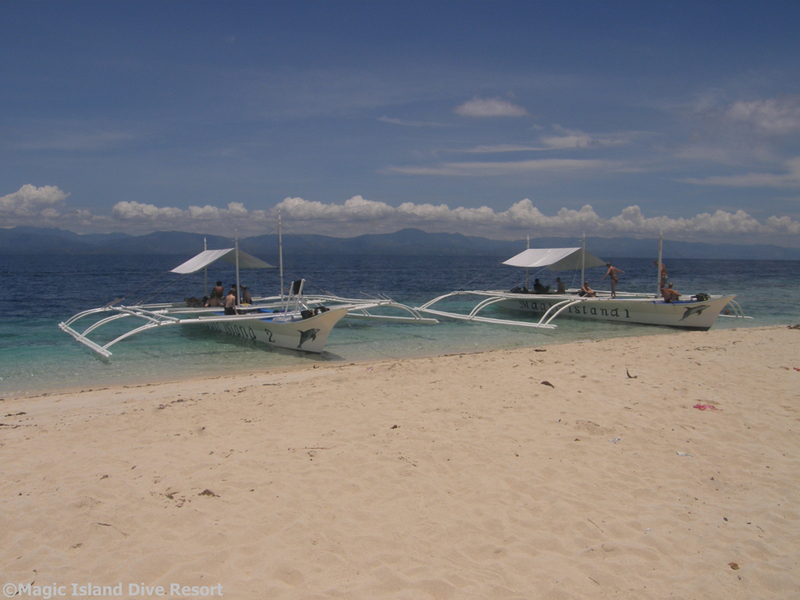 Trips to Oslob to dive with the worlds “gentle giants” can be arranged too. 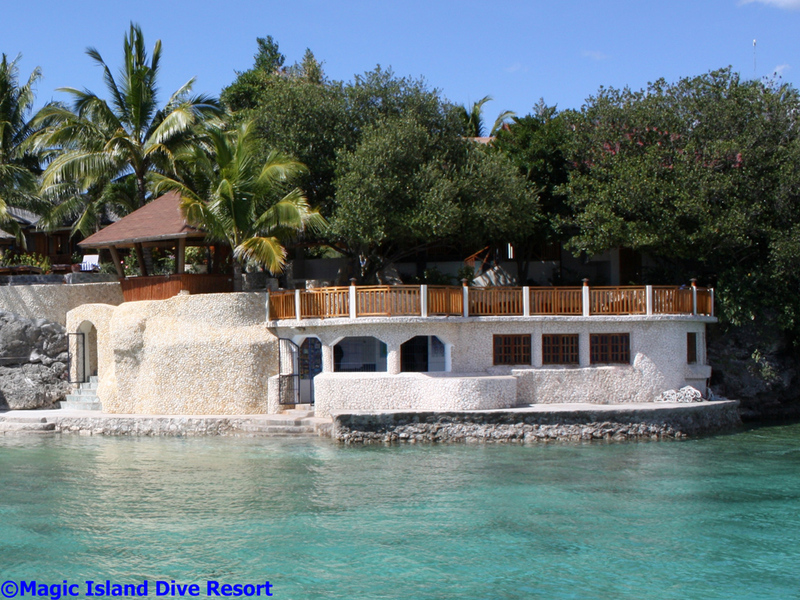 The incredible house reef of Magic Island is perfect for spotting the elusive mandarin fish. 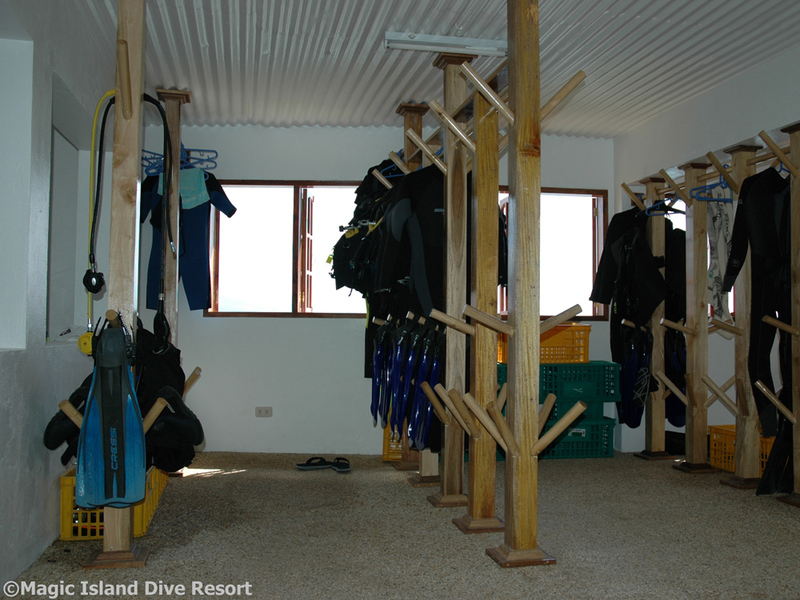 Another must-try when out night diving at Magic Island is the Flouro dive that transforms the reef into a magical world. 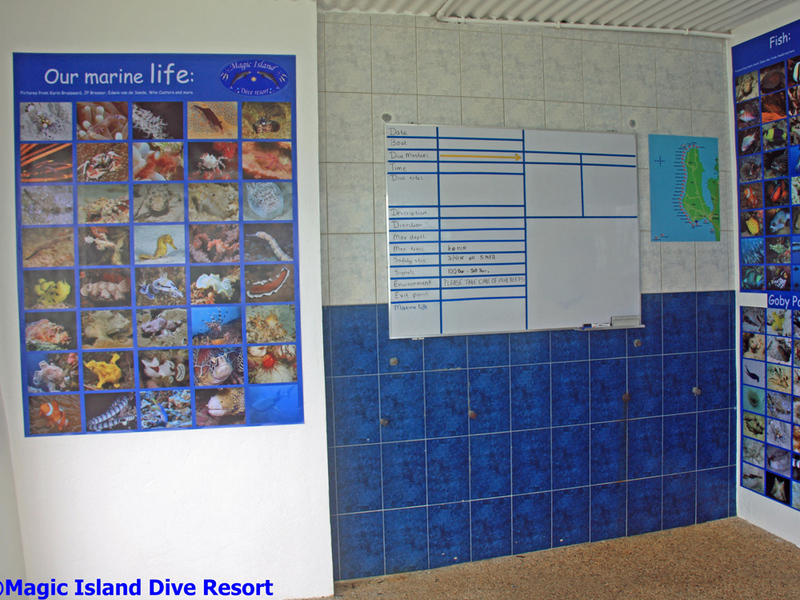 All of these are just a stone’s throw away from our well-equipped dive centre located at the bottom of the resort, right on the oceans edge. 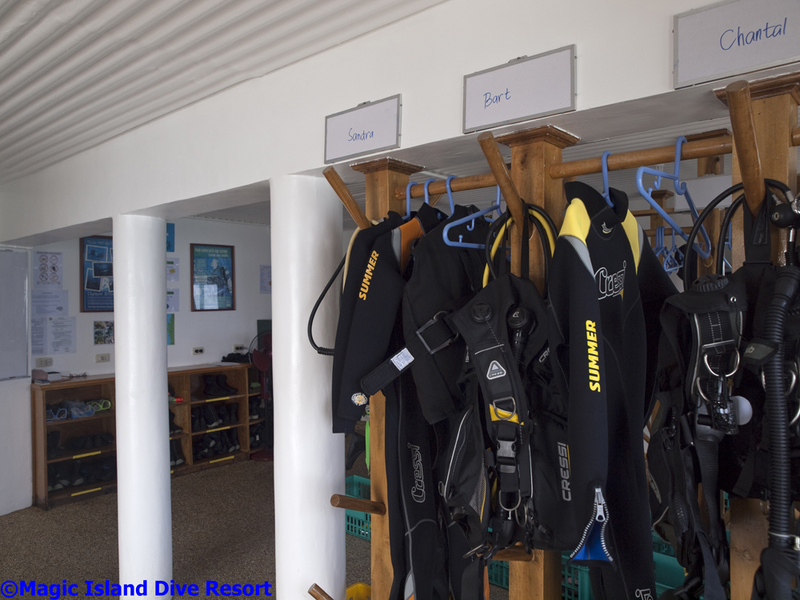 Our fleet of locally designed boats manned by our experienced and friendly crew will take you to world class diving sites that will excite any diver, from a newbie to a tec diver. 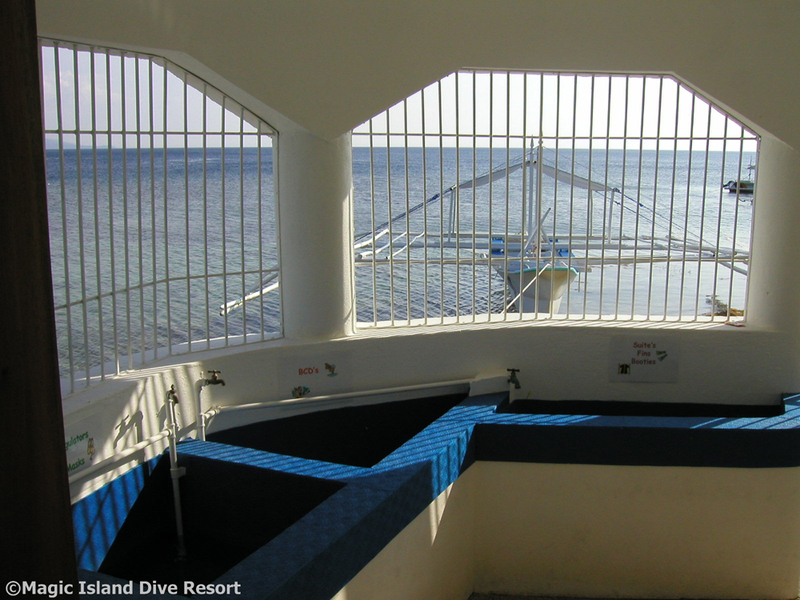 Get ready to empty your bucket list and experience world class diving at Magic Island!